The builders of Stonehenge are known to have sourced the smaller bluestones used in the 5000-year-old monument from Wales. 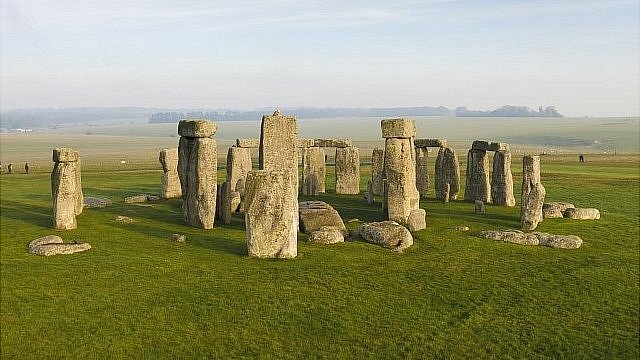 But a new theory suggests that the entire monument might have come from elsewhere, even the huge 25 ton Sarsen stones which make up the large circle of the Wiltshire megalith. Katy Whitaker, of the University of Reading, will present a new paper at symposium at University College London next month suggesting that the sarsens could have come from sites as far away as Ken. “Most people are aware that some of Stonehenge’s stones came all the way from south-west Wales,” she said. “The really huge sarsen stones at Stonehenge are assumed to have come from sources on the Marlborough Downs in Wiltshire, about 30km to the north of Stonehenge. Sarsen stone, however, is found in other locations across southern England. “There are sarsens in Dorset, spread about dry chalk valleys similar to the locations on the Marlborough Downs in Wiltshire, and as well as locations in Berkshire, Oxfordshire, Hampshire and Sussex, there are even sarsens in Kent. People in the Neolithic are known for trading stone across large areas, including from the Lake District to the East of England. Huge Sarsen boulders from outside of Wiltshire are known to have been used in other prehistoric monuments including Kits Coty House in Kent, and Wayland’s Smithy, a burial mound, in Oxfordshire. The idea could also challenge that Stonehenge represents a peak of monument construction which could only have been achieved through organisation by a hierarchical leadership. Instead, it may show that smaller groups had banded together to bring meaningful stones to a central area. 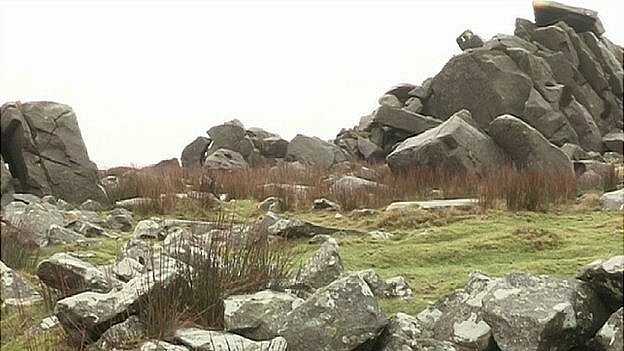 “Maybe it wasn’t a large group of people under the control of a tribal leader ‘cracking the whip’ to move all the rocks from one location down to Stonehenge as has been suggested before,” added Miss Whitaker. The source of the Stonehenge stones was first determined in the early 1920s by H.H. Thomas, an officer with the Geological Survey of England and Wales. Latest theories about Stonehenge also suggest it was once an impressive Welsh tomb which was dismantled and shipped to Wiltshire. An experiment this summer by University College London found that mounting huge stones on a sycamore sleigh and dragging it along timbers required far less effort than was expected. They discovered that a one tonne stone could be pulled on a raft by just 10 people at around one mile per hour, far faster than experts believed. MS Whitaker is presenting her work at the Neolithic and Early Bronze Age Research Student Symposium at University College London from 18th to 19th of November.